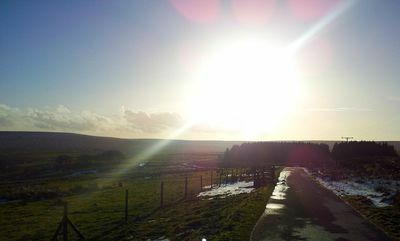 When we started our journey from Leeds, the blue skies were quite inviting for a walk, and the sun rays were promising a delightful time out. Still, we knew full well that what seemed like the perfect time for a day out could soon turn into a windy and rainy adventure in the countryside. 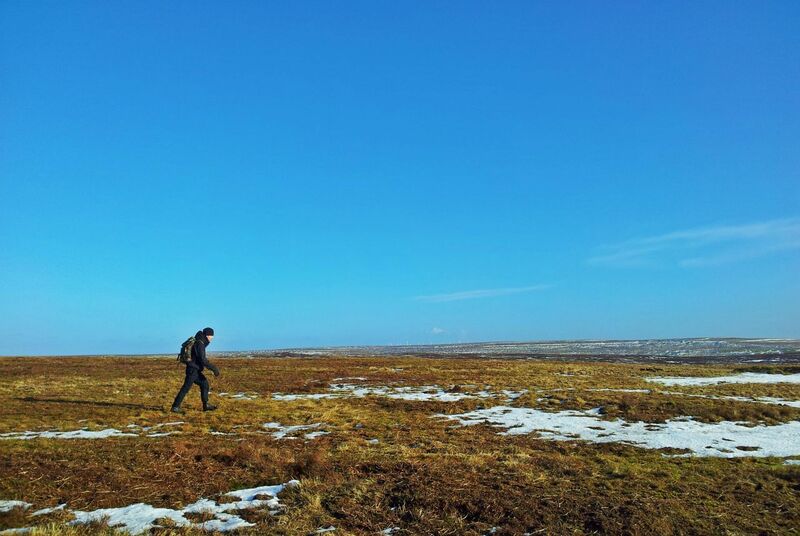 After all, we were in West Yorkshire. And it always rains in Yorkshire, as locals say it. 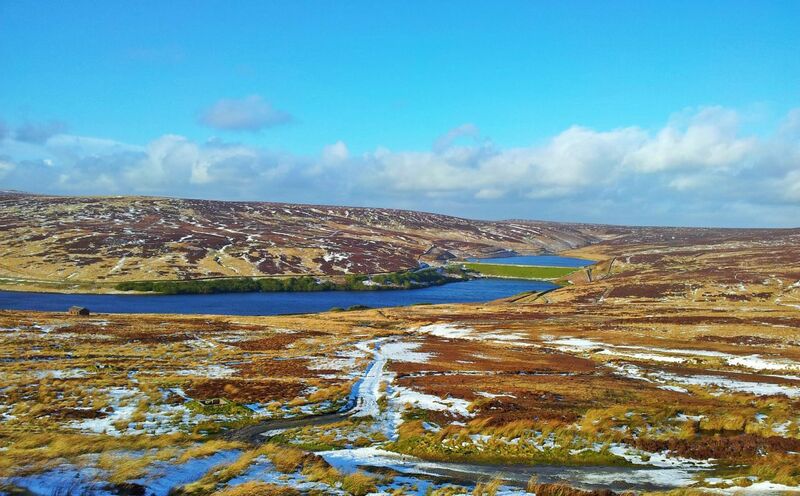 The route we chose was a part of the Pennine Way National Trail, that goes along the Walshaw Dean Reservoirs which are about a mile away from Hebden Bridge – a small market town in West Yorkshire, just 50 minutes and £9.10 away from Leeds by train. 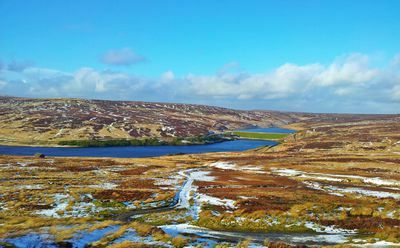 This part of the Pennine Way National Trail is a relatively easy route, with hardly any steep or dangerous zones. The top things you need are two pairs of shoes and two pairs of socks (unless you are 100% sure your first pair of shoes is really water-proof; mine weren't), a wind-proof jacket, some snacks and drinks, and, of course, decent weather conditions. It turned out that our initial fears of the Yorkshire weather tricks were justified. After a sunny one-hour drive with Brazilian music for a background, we reached the town of Hebden Bridge which, however, welcomed us with strong gusts of wind and fifteen minutes of sleet and rain. Hebden Bridge, though, was not our final destination so we continued up a serpentine road to Hardcastle Crags, hoping that the rain and the sleet would ease off. Twenty minutes later we were in a small improvised parking lot (what was more like a lay-by) from where our Pennine Trail was supposed to start. Neglecting the bad weather conditions, we set out on a compact four-hour walk through snow, mud, small streams, evergreen trees, and vast yellow-brownish heights. The wind was strong, but soon it gave way to comforting sunshine which made amends for the cold welcome in the beginning. The trail was marked by wooden signs but we had our map with us, too, which I highly recommend to anyone who goes hiking. 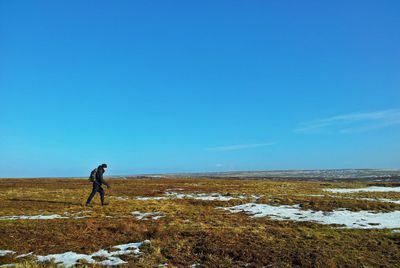 Since our aim was not to conquer the whole 268-mile Pennine way, after two hours and a half of walking we decided to go back. On our way back the weather was calmer and sunnier so we made a couple of breaks to enjoy the sun, the fresh air and the view of the Walshaw Dean Reservoirs. To wrap up our walk, we decided to go for a cup of hot tea in town. 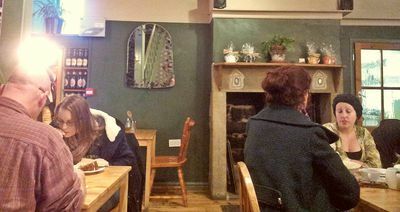 We had already spotted a lovely café named Organic House during our first stop in Hebden Bridge, so we knew exactly where we were going for our hot drinks. With our minds set on a steamy teapot and a delicious piece of almost healthy cake, Organic Café was definitely the right choice for the conclusion of our trip. I personally, recommend an aromatic teapot of jasmine tea (£2.95) with a piece of parsnip cake (£3.95). Delicious. When our teapots and plates were empty, it was already dark. It was time to go. Reluctantly, we left the cosy Organic House, and headed to our car. We loaded the Brazilian CD again, and set out - tired, with our faces red from the sun and the strong wind, but happy with our hiking choice of the day.